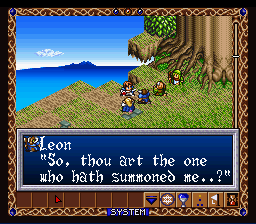 Hiouden is a quirky title from many of the developers who went on to make games like Tenshi no Uta, Tales of Phantasia, the Star Ocean series and Valkyrie Profile. 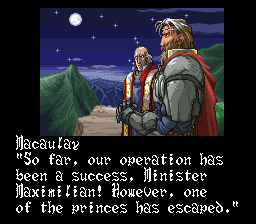 You play a crown prince who has fled from his castle under attack, and begin to employ monsters to help you. 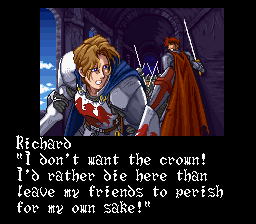 It’s a point and click strategy RPG, and for an SNES game is very PC-like. (You can even make windows so you can follow the action easier when you split your party up.) 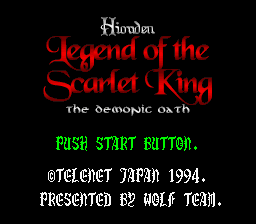 The PC-like implementation does suffer a bit from the SNES’ small display, but the graphics don’t look too rough and the intro is quite pretty. If you’re a Motoi Sakuraba fan, you’ll love the sound; if not, you might find it a bit dull. If you can handle the quirkiness, you’ve got a neat SRPG on your hands. The translation’s complete, so get cracking! And read the readme, the patch isn’t perfect and the game still has some bugs (which were already in the untranslated game). 1.50B (12mbit LoROM), WITHOUT Header (1,572,864 bytes).